Benjamin Smith bullies his way through school until the Principal takes a stand and sends him home. 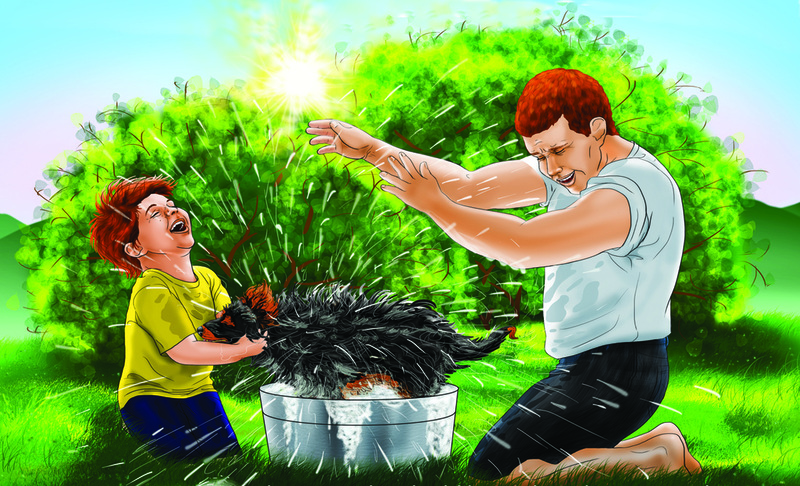 Benjamin’s Dad wants this bad behaviour to stop and so he makes Benjamin a deal. He brings home a very large but very young dog for Ben to train. illustrations which capture character and mood. To order a copy of Benjamin Smith, please fill out the form below and click the submit button. Copies are $20. Postage and packaging is an additional $4.50. Our lovely author and illustrator Shona Wilson (left) and Maria Bozina at the launch. We had a fantastic launch for Benjamin Smith in New Plymouth on Saturday, 20 July. 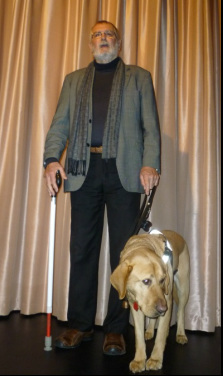 District councillor, disability advocate Lance Girling-Butcher and guide-dog Yogi officially launched the book. Author Shona M Wilson and illustrator Maria Bozina were kept busy for well over an hour, signing copies and chatting to guests. The Little Theatre in New Plymouth was a fantastic venue for the launch. A very big thank you to all those who attended to make the event so special. Lance Girling-Butcher and guide dog Yogi officially launched Benjamin Smith.